Branching out from another thread, I’m posing this as a discussion topic. I’m curious about the experiences and wisdom of other people, so consider this the thread to share your opinions, experiences, knowledge, and understanding of mirrors and all they entail in a magical/spiritual manner. What are some stories or bits of knowledge you’ve come across regarding mirrors or reflections that have stuck with you over the years (or an appropriate time frame to count as memorable)? 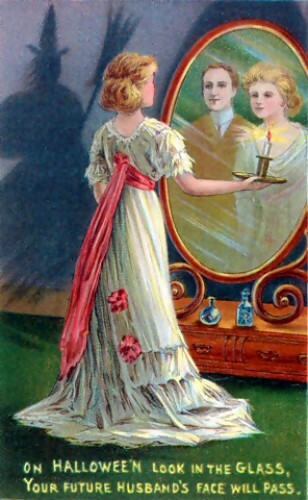 What is your opinion or experience regarding working with mirrors magically (communing with spirits, spellwork, divination)? Do you put credit to the idea that breaking a mirror results in bad luck? And if so, what are your thoughts on methods to reverse or mitigate that bad luck? What is your opinion regarding the idea of a mirror being a portal to another realm of existence? Or even a window into seeing your shadow self?